The Blue Mile Foundation wants businesses to be active in promoting the Blue Mile. The Blue Mile includes YOU! 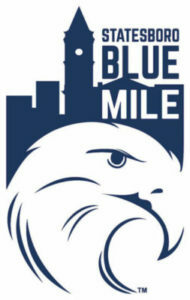 The Blue Mile logo is available for your business’ use. Please refer to the Blue Mile Logo Guidelines here. To request the Blue Mile logo, please fill out the form below.